Talk all you want about Jerome here. Jodi Sta. Maria at Richard Yap dinumog sa USTV Awards kick off party. Pinakapinalakpakan at pinakatinilian ng mga estudyante ng University of Santo Tomas ang “Be Careful With My Heart” lead stars na sina Jodi Sta. Maria at Richard Yap sa katatapos lamang na USTv Students’ Choice Awards Kick-Off Party. Bukod sa pagpapasalamat sa matinding suporta ng fans sa kanilang show na nominado sa kategorya ng students’ choice for daily local soap opera, mas pinakilig pa nina Jodi at Richard ang Thomasian community sa special song number nila. Isa pang sorpresa na pinakapinagkaguluhan lalo na ng mga kolehiyala ay ang pagbisita ng teen star na si Jerome Ponce na may kilala sa mga fans ng kilig-serye bilang si Kuya Luke. Patuloy na sundan ang nakakikilig at nakatutuwang kuwento nina Maya (Jodi) at Sir Chief (Richard) sa “Be Careful With My Heart,” araw-araw, 11:15am, bago mag-”It’s Showtime,” sa Primetanghali ng ABS-CBN. 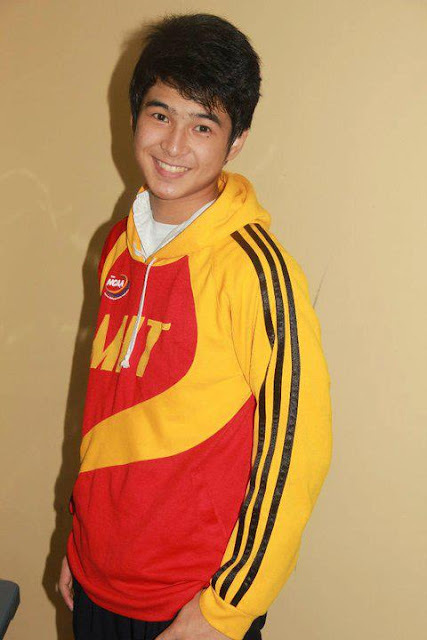 Teen actor Jerome Ponce on Wednesday denied that he is courting "Aryana" star Ella Cruz. Appearing on "KrisTV" on Wednesday, Ponce explained that their mothers are best friends that's why they are also close to each other. "Sa totoo po best friends ang mommy namin... very close as in kalokohan noong high school days at college days," he told "KrisTV" host Kris Aquino. In the interview, the "Be Careful With My Heart" actor also admitted that he has crush on young star Julia Barretto, the niece of Gretchen Barretto. "Siyempre po hindi ko dini-deny na maganda siya," said Ponce, who is currently undergoing workshop with the young Barretto. Ponce also said he has a non-showbiz crush. In the tradition of discovering a new breed of stars, Star Magic presents the freshest batch of discoveries! The new faces, sons and daughters of showbiz royalties and former child wonders are the new crop of Star Magic artists who are ready to prove that they have what it takes to succeed in the world of show business. Their looks and outstanding talent are sure to impress every Kapamilya fanatic. 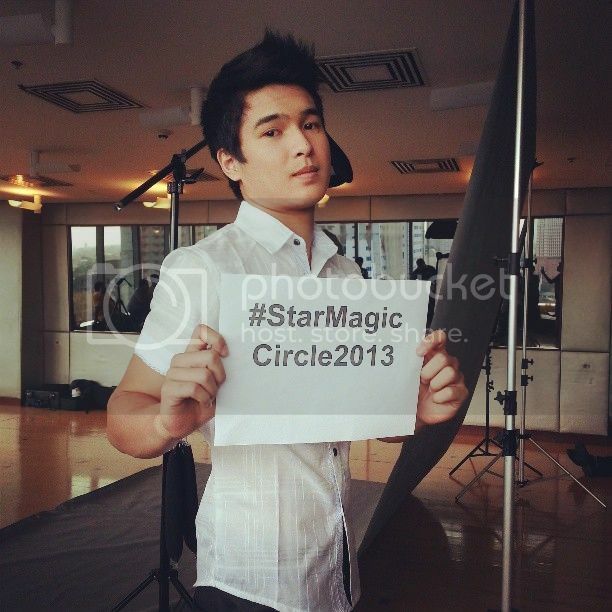 Watch out for Star Magic Circle 2013 as they will conquer the airwaves, movies and television really soon. Jerome Ponce attempted to be a PBB teen housemate twice but fate instead led him to a go-see of the now hit afternoon drama “Be Careful with My Heart.” Now popularly known as Sir Chief’s firstborn, Luke, he fondly remembers his audition for the show. He says the show’s staff called him up, not to inform him if he passed, but to inform him of their taping schedule. And he even had to memorize his script in ten minutes. Jerome says he wants to give showbiz a chance and postponed his collegiate studies at the Mapua University. He shares that he likes making people smile and he likes the acknowledgement one gets in the business aside from the fame and the lifestyle. Jerome wants to maintain the ‘good boy’ image he has on “Be Careful with My Heart” but says he eventually wants to take on more versatile roles. He adds that he feels lucky to become a part of Star Magic and hopefully become a serious actor in the years to come. Watch for the grand launch of Star Magic Circle 2013 on March 17, Sunday only in ASAP 18. DALAWA ang favorite namin sa Star Magic Circle Batch 2013. Ito ay sina Jon Lucas na Iglesia Ni Cristo ang religion at mang-aawit pa at ang dati naming talent na si Jerome Ponce. Si Jon ay produkto ng isang pageant bago siya napunta sa Star Magic para mag-audition nu’ng April of 2012. Pumila siya kasama ng libu-libong hopefuls and luckily napansin siya at isinalang agad sa workshop. May nice encounter kami with Jon. Siya ang nag-effort na bumati sa amin sa isang fast food chain habang kumakain kami. Natandaan daw niya kami during the presscon of Kahit Konting Pagti-ngin kung saan regular siyang napapanood bilang younger brother ni Ange-line Quinto. How nice naman of him. Keept it up Jon. With regards to Je-rome, he was my talent for almost three years. He auditioned twice sa PBB Teens at nailagay sa reserved slot but he didn’t make it na makapasok sa PBB house. Dream niya talagang maging artista at mabilis niya itong natupad nang makapasa siya sa audition sa Be Careful With My Heart series bilang Sir Luke, panganay na anak ni Richard Yap populary known now as Sir Chief. In fairness to Jerome, ina-acknowledge niya naman ang mga nagawa namin sa kanya noon and we are thankful for that. May ibang manager na si Jerome ngayon. Masaya ang binatilyo na kasama rin siya sa world tour ng Be Careful With My Heart na magsisimula ngayong March. In my opinion, mas angat sina Jon at Jerome sa ibang lalaking ka-batch niya sa Star Magic 2013 dahil sa kanilang good looks, height and talent sa pag-arte. Jerome Ponce – graduated from Malayan High School of Science. Jerome narrated, “Ako naman po na-discover po ako dahil dati ko pong manager si kuya Leo Bukas, naging manager ko po siya for almost 3 years. “Nag-audition po ako sa PBB tapos naging reserve lang po ako. Dream love team: “Sa akin naman po si Ingrid [Dela Paz] kasi parang nakikita ko po na madali siya ka-trabaho dahil sa personality niya. 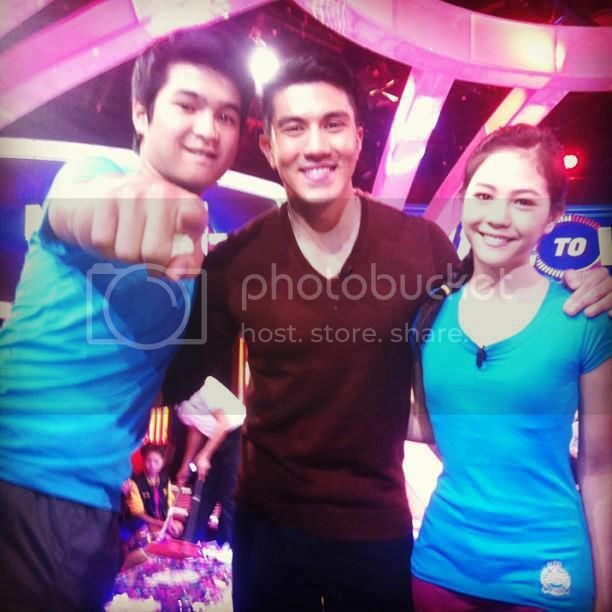 Nikki and Luke of BCWMH soon on MTWI! Between the two of them, another up and coming young actress, Liza Soberano, 15, is making a scene after clinching an introductory role in the Daniel-Kathryn film, “Must Be Love,” which opened March 13. And how about that other charming young lady, Janella Salvador, a breakaway star on the hit morning series, “Be Careful with My Heart?” Janella is daughter to ex-Miss Saigon Jenine Desiderio by 80s rock star Juan Miguel Salvador. TOMORROW’S STARS: Julia, Jane, Liza, and Janella are just four of 6 girls launched by Star Magic talent agency as members of Star Circle 2013. Michelle Vito, 15, and Ingrid de la Paz, 18, complete the magic female circle. 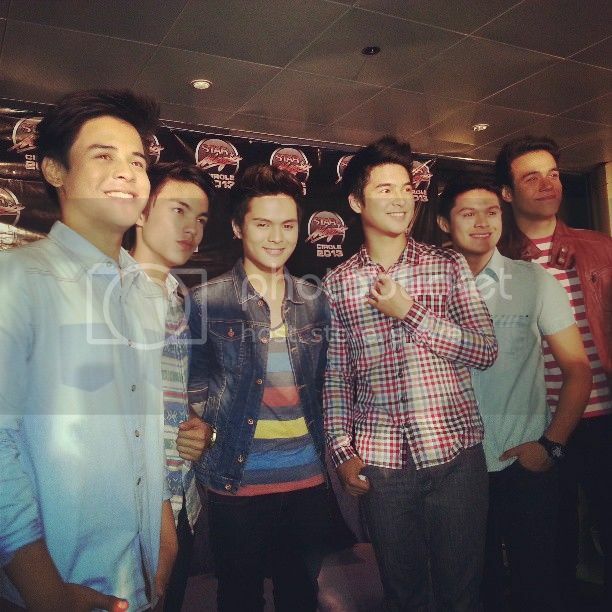 Alex Diaz, Jerome Ponce, Jon Lucas, Kit Thompson, and Julian Estrada. Estrada is considered showbiz, being a son of Sen. Jinggoy and, therefore, a grandchild of the great Joseph. Julian, in fact, picked Erap as his movie idol. LIZA SoberanoThe new batch of artists consists of six good-looking men and six gorgeous ladies namely Jon Lucas, Janella Salvador, Kit Thompson, Ingrid dela Paz, Julian Estrada, Jane Oineza, Alex Diaz, Liza Soberano, Michelle Vito, Jerome Ponce, Julia Barretto, and Khalil Ramos. Teen heartthrob Jerome Ponce has admitted that the girl he's been courting in Antipolo has put a distance between them. In an interview, Jerome disclosed that his non-showbiz dream girl has been cold towards him after he shared on “Kris TV” some of his romantic efforts, including visiting her on Valentine’s Day all the way to Antipolo after his taping. Some fans of “Be Careful With My Heart” have linked Jerome (who portrays the role of Luke, eldest son of Richard "Sir Chief" Yap) to co-star Janella Salvador. Jerome has decided to postpone his studies at the Mapua University in order to prioritize every opportunity in his blooming career. He is bent on learning from the workshops he attends as provided by Star Magic. 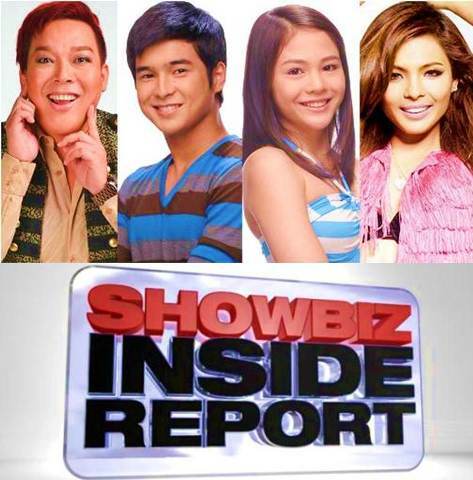 ABS-CBN’s trending talk show “Showbiz Inside Report” will share the different struggles in the families of “Be Careful With My Heart” stars Janella Salvador and Jerome Ponce, popular comedian John ‘Sweet’ Lapus, and actress Lovi Poe this Saturday (April 20). Together with its credible hosts Janice de Belen, Ogie Diaz, Carmina Villarroel and Zoren Legaspi, get to know the life experiences of the real people behind the stories and discover the problems they had in their families that made them stronger individuals. How hard was it for Jerome and Janella to grow up from broken families? Does Sweet hate his father for abandoning him when he was young? After 8 years since her father died, has Lovi truly moved on from the passing of the late Fernando Poe Jr.?